My Simple Little Pleasures: 100th Post Extravaganza! So, here I am at post #100. And, fittingly enough, it's a gigantic one =) I know I am probably not exactly known for short posts LOL. Sometimes (OK, ofttimes) I just get to rambling, but this time my excuse is that I haven't posted in so many days, and I've got lots of pics & stuff to share! My nails, mom's nails, tasty food & extra fun stuff! I feel like I ought to have something a little more monumental to say or do or show you guys, LOL. I guess I'll just stick with saying THANK YOU to all of my readers. 6 months ago blogging was not on my radar at all, and now it's like a normal habit - and an enjoyable one at that =) (Even on this old computer ... 3 weeks today & counting grrrrr ... but I won't get started on that old rant). GORGEOUS, right? 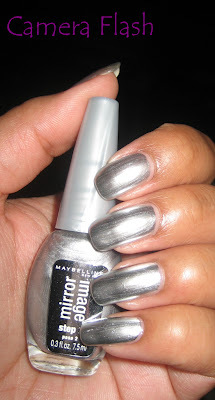 Shiniest thing by far I've ever had on my nails. This is without a top coat, since I'd read top coat can dull the finish ... 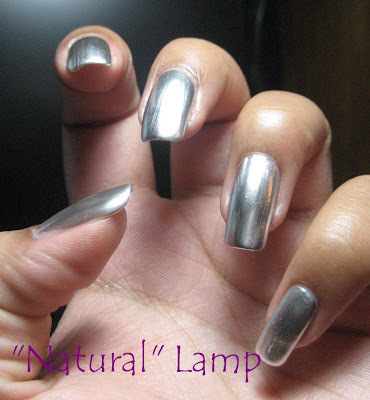 I tested on my right hand thumb & I have to agree, it kind of makes it more shiny vs. reflective if that makes sense. This test is spot on (although I'd have to say their pic of purple polish is NOT LOL) - I'd love to know what color you are if you take the quiz & if you agree with what it says! =) I am more likely to buy a purple polish than any other color. Congrats on your 100th post ! 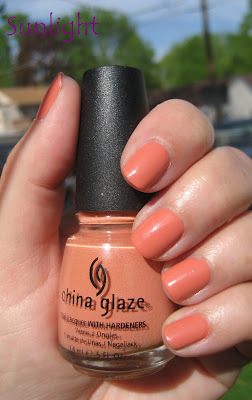 I love reading your posts and see your pics :-) And I think you've chose a great polishes for your 100th post ! A great post for your 100th! Congratulations, I always look forward to reading your blog. 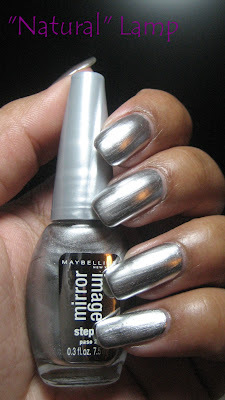 That is one of the prettiest mirror polishes I've seen, it looks like platinum overlays on your nails! And cake balls, yummmmmy! Wahey, grats on your 100th posting! 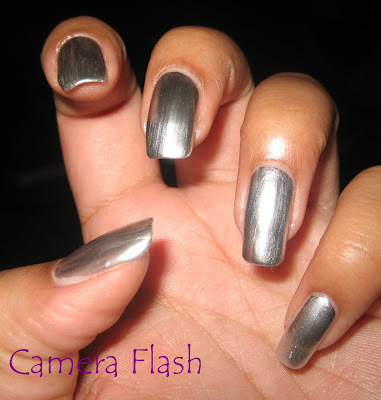 Mirror Image, that polish is just wow! That's the coolest. 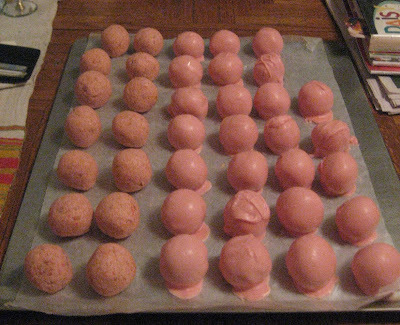 Cake balls look so delicious, mmmm. Glad you liked that polish. I compared mine to the silver wrapper on my coors light bottle - lol It looks great on you. Colette congrats on the 100th! I love your blog and writing. I like how it isn't strictly just a picture of a nail and nothing more. I love Mirror Image on you. It sure does look like platinum. Your Mother's nails are very pretty. Love that color also. Those cake balls look so good. Do you ever make them in chocolate? Can you pass me a few? TULI - Thanks! I wanted to choose a polish that meant something to me in addition to looking really cool. MARY - Thanks! It blows my mind that I've managed a hundred posts! CLOCKWORK - One of the most amazing things is that this is really 1 coat of color, although the mirror image does have a first step ridge-filling base coat also. I love your quiz results!! LUCY - Thanks - I do enjoy writing & having the blog makes sure I fit in at least a little on a regular basis. I'm not a huge chocolate eater - I might try it eventually, but the next time I make these I think I'm going to try the lemon cake mix. If I thought these yummies would make it through the mail I'd send you a few =) LOL I'd be in real trouble if I ate the whole batch without sharing.